However, this promise is barely worth anything. The death of Natalya Estemirova is not the first tragedy in the recent history of human rights activism in Russia and in Northern Caucasus in particular. Earlier this year prominent lawyer Stanislav Markelov, who had been defending victims of human rights abuses in Chechnya, was shot dead in downtown Moscow along with young journalist Anastasia Baburova. Owner of a very popular and highly critical to the Ingush authorities Web site Ingushetiya.ru Magomed Yevloev was killed by a senior police officer in August 2008. The murder of famous journalist Anna Politkovskaya in October 2006 was, perhaps, the most outspoken crime of this kind. But many more killings, kidnappings and assaults against human rights activists and journalists remain unnoticed. The performers, not to speak of organizers and masterminds of such attacks are never punished and suspects are rarely even named. Abusing human rights appears to be a safer business in Russian Northern Caucasus than defending them. This unstoppable wave of violence was made possible thanks to the atmosphere of terror and lawlessness that exists in Chechnya, Ingushetia and Dagestan in recent years. Chechen President Ramzan Kadyrov, a former insurgent, now a proud and ardent supporter of Vladimir Putin, was given a carte blanche by the Kremlin to do whatever he wants as long as he controls the situation in the republic. This semiliterate but incredibly ambitious man looks extremely corrupted and cruel even by Russian standards. His love for flashy cars and other kinds of luxury as well as formal attributes of social status (for example, Kadyrov, who reportedly even lacks primary education, was awarded an honorary academic degree by the Russian Academy of Natural Science) have become a subject for jokes and gossips among people. His ruthless, medieval methods of punishing the insurgents are a reason for persistent criticism by human rights advocates. He isn’t even very popular among the ruling elite for ignoring all the rules and behaving in a provocative way (like meeting then-President Vladimir Putin in Kremlin wearing just a sport suit). 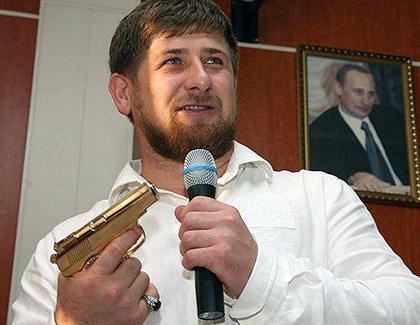 But as long as Kadyrov does all the dirty work in the Caucasus for Moscow, he is invulnerable. He even extends his authority beyond the borders of Chechnya: his battalion of guards fought in the war in Georgia a year ago, now they are officially allowed to operate in Ingushetia. Cruelty and cynicism are much in demand in the Kremlin. 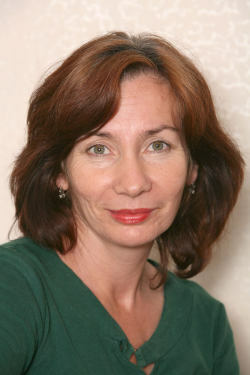 So we must realize that the death of Natalya Estemirova, who carried on her mission of helping ordinary citizens of Chechnya for many years despite the mortal danger for herself, will most probably be perceived there as a “side effect” of Kadyrov’s “efficient management.” The justice will not triumph yet. Her murderers will not be punished. The most we can do is remember Natalya Estemirova and believe that one day humaneness will be rated higher than barbarianism.